Starcke Abrasive Belts 531J Cloth. German made J-cotton linishing fabric with synthetic resin. Good anchorage of the abrasive grain. High cutting performance. Ideally suited for cutting operations. High durability. Lightweight, general J-cotton linishing fabric with synthetic resin. Good anchorage of the abrasive grain. High cutting performance. Ideally suited for cutting operations. High durability. 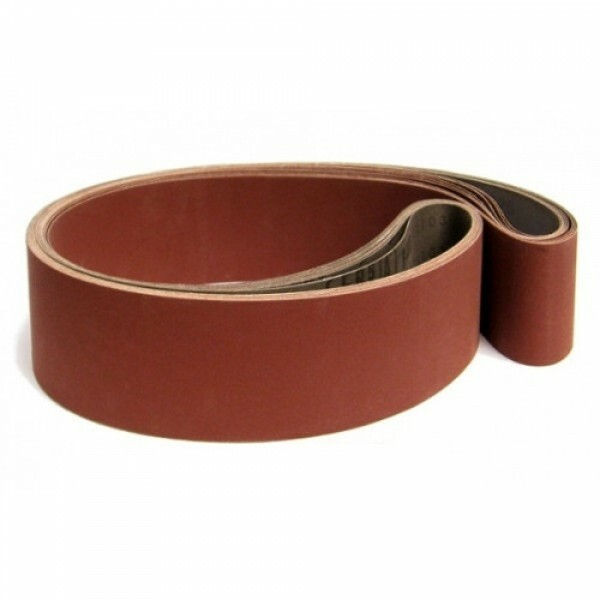 The sanding belt size you require will depend on the sander you're using. The easiest way to check is to measure an old belt. For accurate ‘length’ measurement lay your old belt down flat (folding the loop at both ends) and remember to double the figure taken. If you need a size that is not listed we can have Custom Sanding Belts made in no time at all. Contact Us with your request.